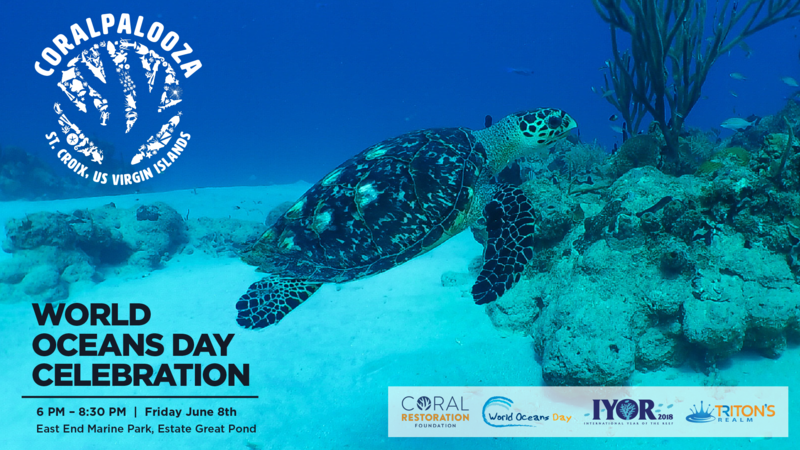 CORALPALOOZA is a festival of reef restoration that shows the world what’s possible when we work together! In celebration of World Oceans Day and the International Year of the Reef 2018, the St. Croix East End Marine Park is hosting an exciting lecture series & discussion on corals. All are welcome. In celebration of World Oceans Day and the International Year of the Reef 2018, the East End Marine Park is hosting an exciting lecture series & discussion on corals, sponsored by Triton’s Realm. All are welcome. Topics covered will include coral stabilization at Buck Island, coral reef ecology on St. Croix, and tracking lionfish movements. 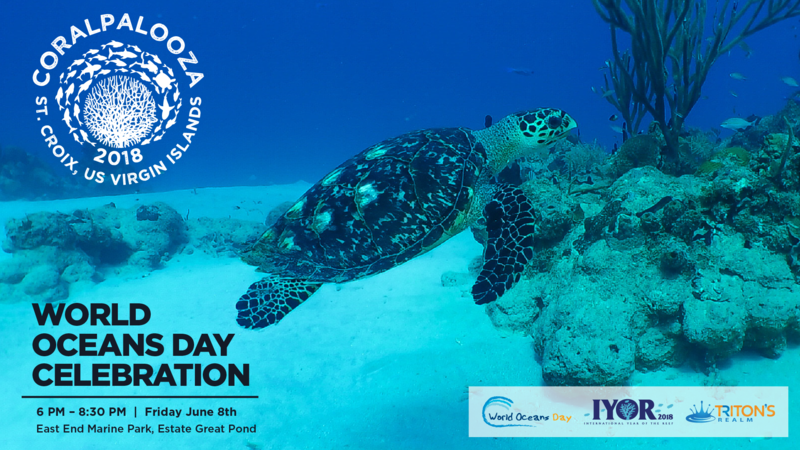 Dive, snorkel, & learn more about local coral restoration efforts with The Nature Conservancy and the Sweet Bottom Dive Center in this international event. Learn about coral restoration efforts on St. Croix including coral trees, out planting, and pruning followed by a dive or snorkel tour of one of the two coral nurseries at Cane Bay. There is a $35 cash only registration fee per participant for those who will be joining us on the dive, and $30 if you will be snorkeling. The registration fee includes an event t-shirt by Triton’s Realm, an information session on coral restoration, and a SCUBA tank and weights if you are diving. Static displays and informational booths are open and free to the public. Please arrive at least 30 minutes prior to the scheduled presentation time to allow time to register. 9:00 AM: Dive/snorkel registration and conservation outreach booths open. 10:00 AM: Presentation/discussion on coral restoration by The Nature Conservancy. 10:30 AM: Guided dive/snorkel tour of the coral nursery. 1:00 PM: Presentation/discussion on coral restoration by The Nature Conservancy. 1:30 PM: Guided dive/snorkel tour of the coral nursery.